A new article by Marino Orlandi, sophisticated and elegant. 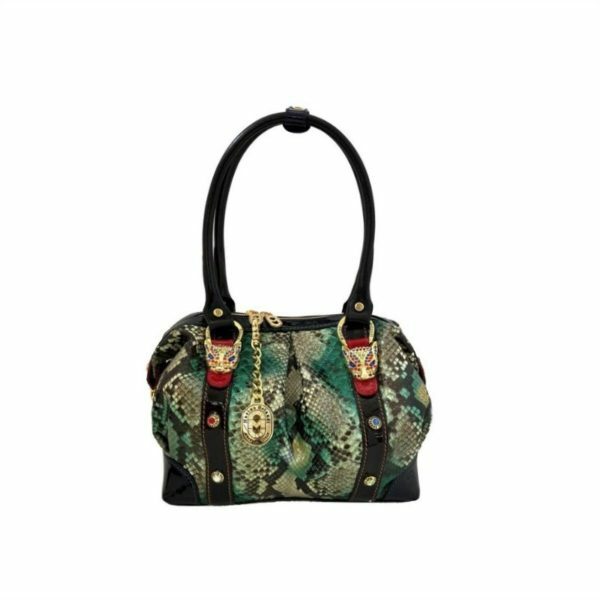 Buy a touch of elegance thanks to the alternation of practical size and the selection of a valuable and exclusive material in green python, while the accessories in real Swarovski completes the bag giving a unique touch. Categories: All collections, Real Python.